Gestamp CEO Francisco Riberas expects the company to maintain its rapid growth as automakers outsource more metal stamping work to suppliers. Gestamp made headlines last month when the Spanish metal-parts supplier announced an initial public offering that would value it at about 3.7 billion euros. It's the culmination of a busy 20 years in which the family-controlled firm has increased revenue from 240 million euros in 1997 to 7.5 billion euros last year. About half of that was generated in Europe, but the company, which ranks No. 27 on the Automotive News Europe list of the world's top 100 suppliers, is on a global expansion push. 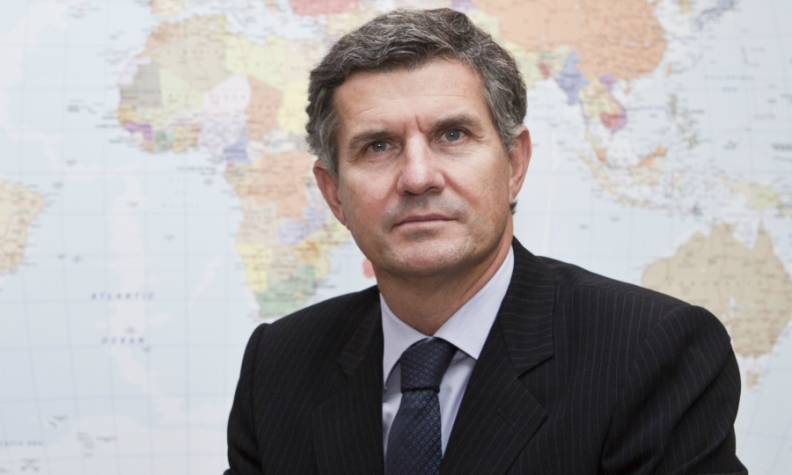 Gestamp CEO Francisco Riberas expects the company to maintain its rapid growth as automakers outsource more metal stamping work to suppliers so they have extra cash to invest in megatrends such as connectivity and autonomous driving. Riberas covered that and more with Automotive News Europe Nick Gibbs. What does going public do for you? It's good for the product itself. It helps us attract and retain the best talent and we can give more guarantees and confidence to our customers. Will the Riberas family keep a controlling share? The family will retain more than 50 percent, [Japanese firm] Mitsui will have 12.5 percent. We are concluding a process started in 2016 when we bought back ArcelorMittal's stake in the company. We will use the proceeds to repay the loan to the family holding company Acek. You've grown aggressively in the last few years. Can you carry on growing at the same speed? Yes. We are still a young company and we are growing much faster than the market, on average by 21 percent annually. The rate of outsourcing for our segment used to be very low but in the last few years it has really increased. We are taking an important part of this increase. Main Challenge: Taking on more responsibility from automakers such as Jaguar Land Rover, which will use Gestamp instead of having a press shop at its new plant in Slovakia. Why do you think companies are more willing to outsource? They need money. When you hear people talk about the auto industry today the main topics are disruptive trends such as connectivity, autonomous cars, mobility and electric vehicles. The need to invest a huge amount of money into those trends. So they ask themselves, Why keep investing a lot in producing components when suppliers are so reliable? Where is that happening fastest? Everywhere. Western automakers have a problem in their mature markets where they have a lot of employees at their plants. When opening new plants elsewhere they are going toward full outsourcing. For example, Jaguar Land Rover's new plant in Nitra, Slovakia, will not have a press shop. We will supply them. What is your split regionally? About 50 percent of our revenue comes from western Europe, 10 percent to 11 percent from eastern Europe including Russia and Turkey. About 21 percent comes from North America and 14 percent from Asia. Mercosur [which includes Brazil and Argentina] used to be bigger but last year is was 6 percent to 7 percent because of the devaluation of the currencies. What are your big growth regions? Emerging markets, of course, but we think North America will be an important growth opportunity for us in the next two years. It should be a bit more than 25 percent for us. We are partners of choice for the European transplants, but we are now growing more with the U.S. automakers. We are also opening a new r&d center in Detroit. What percentage of your revenue is coming from hot stamping? It is growing a lot. Last year it represented about 1.2 billion euros, a bit more than 15 percent of sales. In 2007, we were running 16 hot-stamping lines, last year we had 71. The shift from cold to hot is enormous. The most advanced car in terms of hot stamping is the Volvo XC90 with 38 percent of body-in-white weight. The average in Europe, the most advanced region for hot stamping, is 12 percent to 15 percent. Globally we estimate it is about 8 percent of total of body-in-white content. In the next four to five years we think this is going to jump to 12 percent to 13 percent, which is huge growth. Regulations in emissions and safety. The biggest factor affecting CO2 after the engine is weight. Hot stamping allows you to reduce the thickness of the metal but still improve crash performance. What is the price difference between mild steel, hot-stamped steel and aluminum? Compared with mild steel, we can reduce weight by 25 percent to 30 percent. Aluminum is half the weight. But aluminum is about three times as expensive, while high-strength hot stamping is much less, about 40 percent to 50 percent more expensive than mild steel. Of your hot stamping, what percentage is going to premium customers? Our exposure to premium brands is more than the market, about 40 percent. They need to further reduce weight but since cost is not as important, they can go to aluminum. [Volume customers] making smaller cars also need to reduce weight and for them the best solution is hot stamping. Customers such as Ford and GM use it a lot.